StockwareLite 2.0 - Download Win Apps. 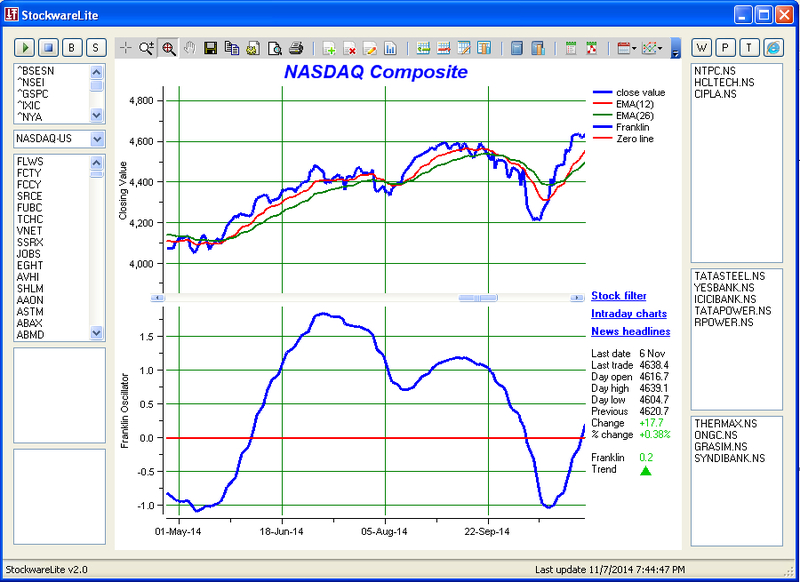 Stock Market Technical Analysis and Portfolio Management Software. SL is a free stock market technical analysis and portfolio management software. It has unique technical analysis and portfolio management tools to reliably predict and track market movements. It is simple and easy to use and is quite accurate. Data is supplied by Yahoo and it is free. It has inbuilt list of stocks from several exchanges around the world. Portfolio and watch-list can be created to keep track of your investments.